As Chris Justice would say, "TOTALLY CERTIFIED... DUDE!" Hockey collectors finally get one of Panini's most popular brands in other sports, Totally Certified. Totally Certified is known for yielding one hit per pack with the availability to find lots of colored parallel cards. It's exciting to see this product released for hockey, many have been looking forward to it! Totally Certified cards are all-etched foil on the front. Unlike the standard Certified cards of years past, these cards have a textured feel and look to them. The primary color for the base card is silver, which is a good choice as there are many, many variations of the base to be found within boxes of these cards. The base cards feature a large image of the player that takes up the majority of the front. The players name and team can be found at the top and bottom of the card. A Totally Certified logo is just above the players name, and aside from some graphical elements... that's it for the base card. There really isn't much to these cards. They basically are just a good canvas that lends itself well to being paralleled. The back of the base card is very Certified-like. Collectors will find a solid color representing the team behind some vital information and statistics for the player. Panini gives us the very boring and plain background that is typical of their releases. I'm just not sure why so little effort is given to the back. Sure, backs don't matter so much, but I love it when companies give us attention to detail. And the back of the card is definitely at detail that should be given more thought. The rookie cards come in non-memorabilia and memorabilia versions, and are numbered the same in the main set. 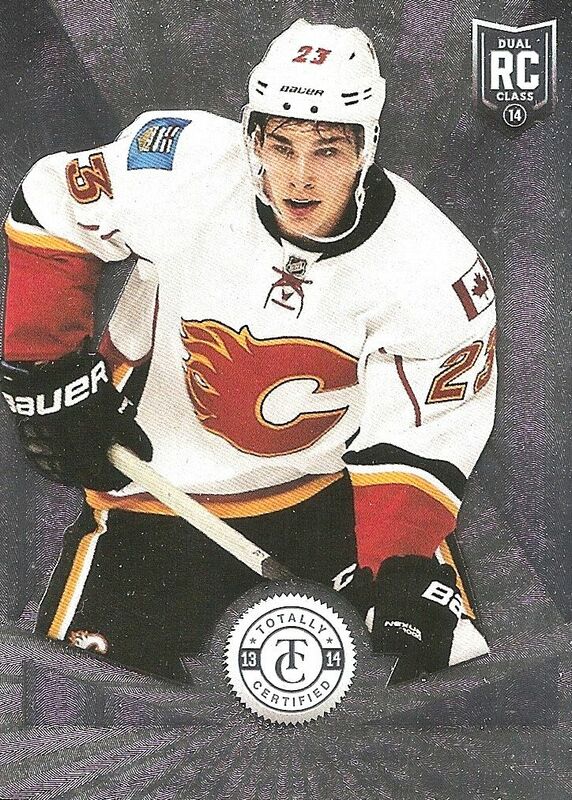 The non-memorabilia versions have a look very similar to the standard base card. The only difference is the Rookie Card logo included at the top of the card. On the back, the word 'rookie' is in place of where the player's postion would be. 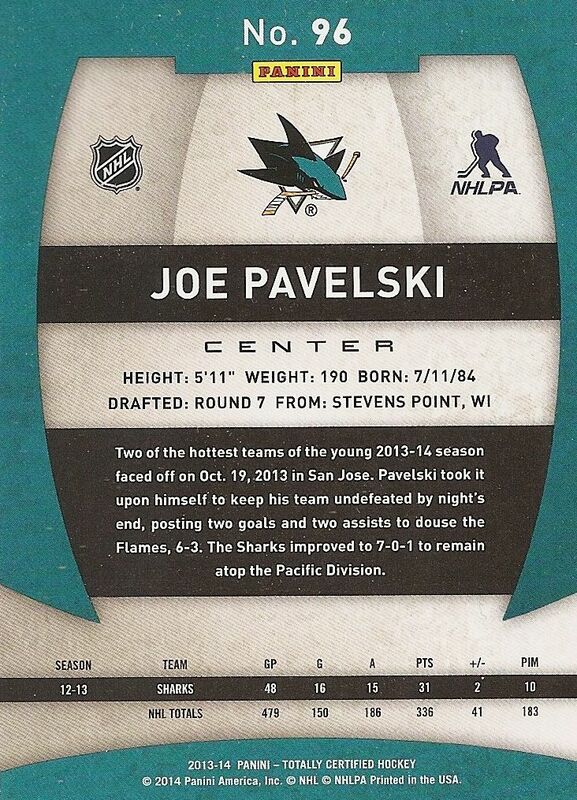 The memorabilia version of the rookie card has a horizontal design. The standard version of the rookie memorabilia card has a jersey piece. Interestingly, these cards feature a closer-up photo of the player's face. It's an interesting design choice, but I can see why they did it as the place for the photo allows for very little choice of photo. I'm a little mixed on whether I like this look or not. I do tend to like it when companies show a player's face more, so I guess you could say I'm more on the side of liking it. These rookie cards have a burst looking etched foil that is pretty pleasing to the eye. My one complaint about these cards is that the foil, though etched, can be a bit one-note in terms of its look. Like I said with the standard base card, there just isn't a lot there to grab onto in terms of what to see on these cards. Standard silver versions of these rookie cards are surprisingly not numbered. Totally Certified boxes only come with four packs (the other sports had six packs per box). Just four! It's definitely a quick break. Panini has generously put extra hits in some of the boxes though, so collectors will sometimes get multiple hits per pack. That's a great surprise! Here is an example of a gold parallel out of Totally Certified. Gold are numbered to 25. I think the gold foil looks significantly better than the regular base card's silver. It's hard to tell from the scan, but the gold shimmers and shines very nicely. Collecting these colored parallels is a fun challenge that I think collectors will enjoy with this set. There is a huge variety of parallels to find including very tough case-incentive parallels and 1 of 1's. This Totally Certified jersey card is about as plain as it can get. I like the fact that this card isn't simply a base card with a jersey on it, but this card looks oddly out of place without any foil on it. 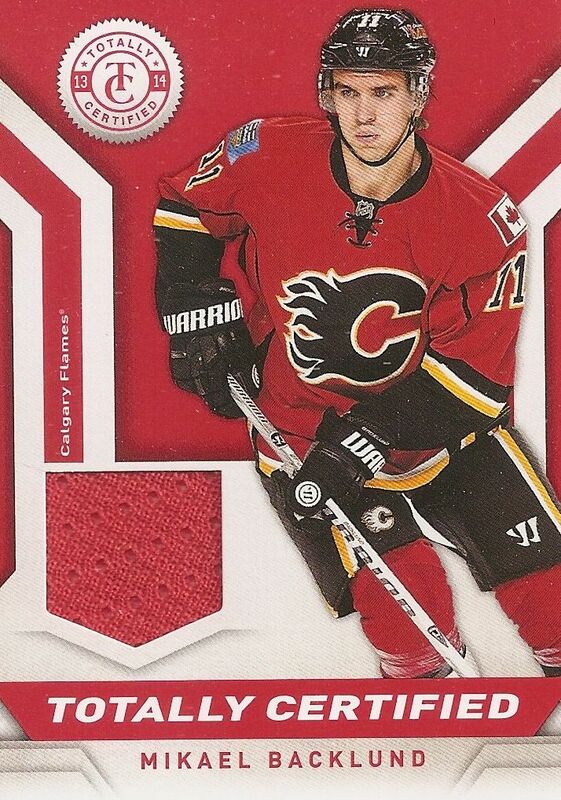 This Backlund jersey card come on medium thick glossy stock. I have to be honest and tell you that I was a bit shocked at seeing this card come out as it doesn't really go with the Totally Certified look at all. These cards are the 'filler' type cards that collectors don't want to be getting when purchasing single packs of TC. 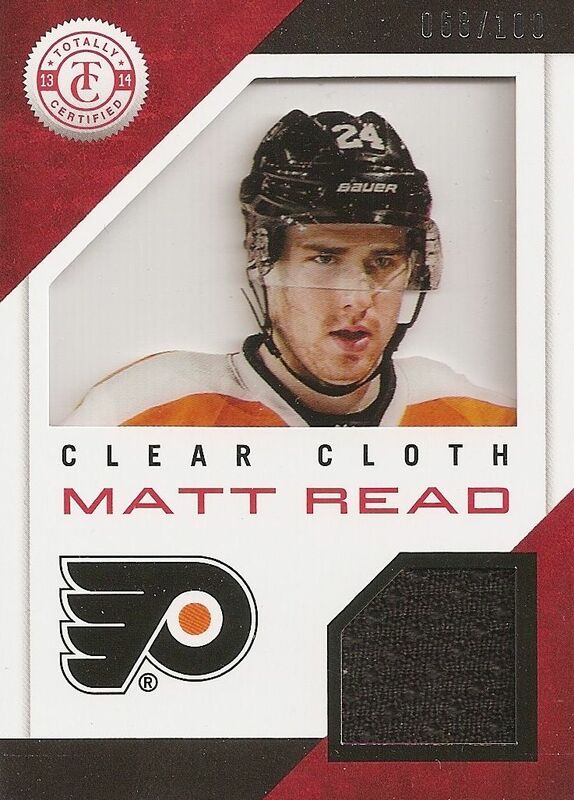 A better looking jersey card is this Clear Cloth of Matt Read. Though it's 'just a jersey card', I appreciate Panini's effort in making it stand out by using different materials. The clear acetate technology is something that Panini has used quite a bit to make good looking cards. While this card is not foiled, it's classy and is a better fit for the Totally Certified brand. Instead of the jarring feeling of getting the plain Backlund jersey above, I instead felt a sense of appreciation for this card and the way it was made. Parallels of this type of card will yield prime and patch pieces. The Gordie Howe gold patch is a 1/1! 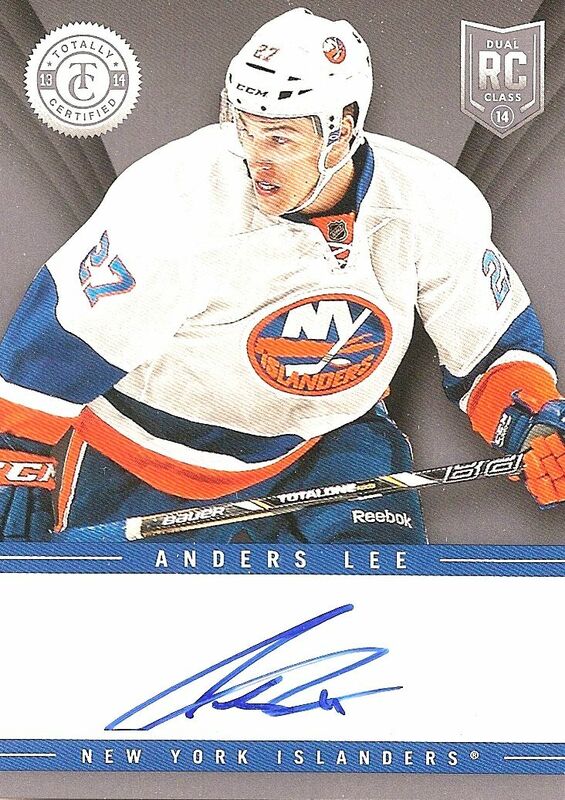 This Anders Lee is a standard autograph out of Totally Certified. Again... another card with no foil! This autograph is about as no frills as it gets It is a sticker auto on very thin card stock. And the auto is even a bit cut off at the bottom! Ugh! I'm just going to move on from this card. 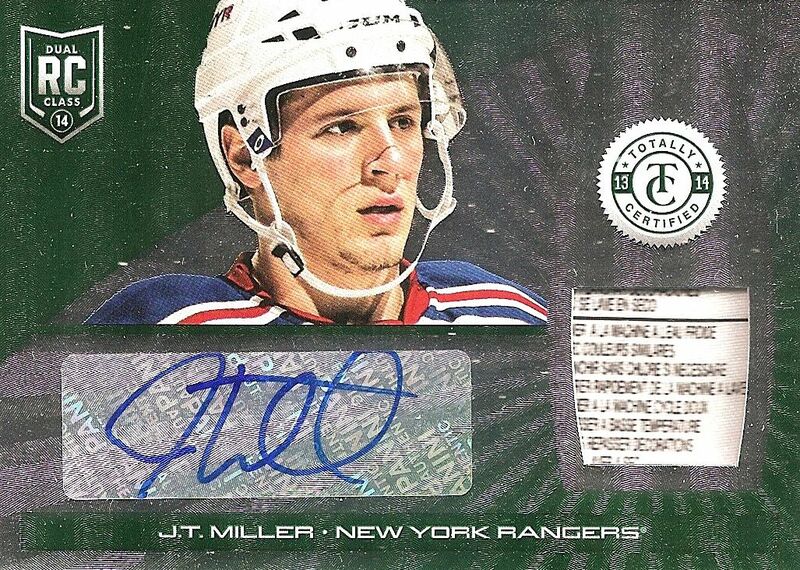 My big hit from the box was this green tag auto rookie card of JT Miller. You can start to celebrate when you see green in Totally Certified because that means you have a card numbered to just 5. The green cards have been by far the most popular cards to pull out of TC in all the sports. Something about the green look just stands out in a very nice way. This is the kind of card you're looking for when you buy Totally Certified. My box had a very limited sample of what you can get in Totally Certified. There are A TON of things to find when you purchase TC. Collectors can look forward to the return of the cool Social Signatures cards, Private Signings, and even cards from Elite. Unique cards like film slideshow cards are also in the product. And that's besides all of the crazy prime, patch, and tag parallels and variations in the set. Totally Certified is loaded with stuff. You'll just have to open it up and give it a try! Totally Certified is a great fit for hockey, and it looks like hockey collectors are already totally into the product. Like I just mentioned, there is a huge range and variety of things to find in this product. 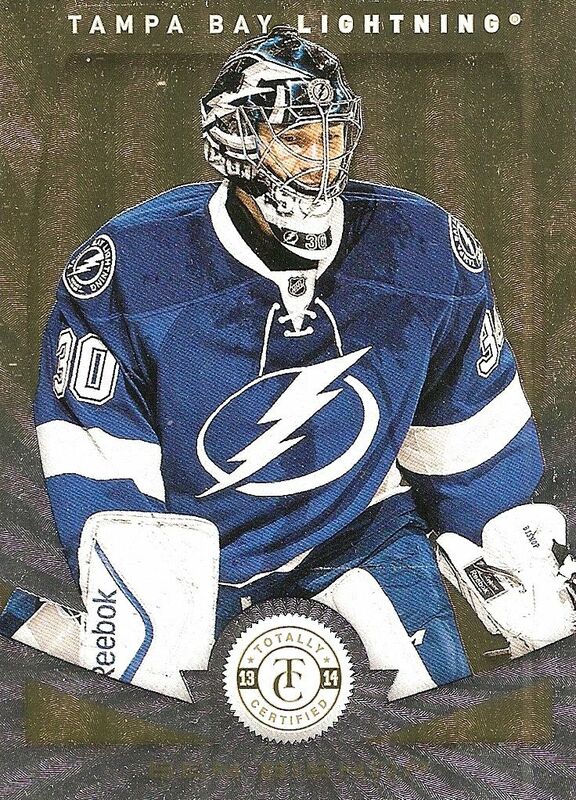 It's almost as if Panini put all of their best efforts into this brand's inaugural hockey release. I think Totally Certified has started on the right foot. Boxes of Totally Certified are around $80, which is quite cheap... but remember that there are only four packs per box. But some of those packs may contain multiple hits, so there can be extra value in what you buy. I would definitely recommend buying into Totally Certified hockey. I think Panini has a winner here! One of my favourite products, shiny, clean and nice design. really excited for totally certified to be in hockey for this year and years to come! Im not too sure if I like the product or not. The micro etching and shine might make the cards too flashy and unreadable, I will have to see them live before saying anything final. The hits do look nice though. And the video was great too, again. I think that this product looks and feels like a cheap everyday titanium/select/certified spew from Panani. The sticker autos look horible on the foil backing. The micro-etch technology or whatever, I could care less. Too many parallels. They should make a brown parallel to match the colour of what I'd do to this product. The Name "Totally Certified" sounds funny. They should just stick to Panini TC! Cards look great, and panini is awesome. Thanks for the great review.I think that that J.T. Miller card was awesome. I think that you got a pretty successful box. Way better than just regular certified from other years! that miller is sick! nice box! This is so far my favourite real ease of this season. 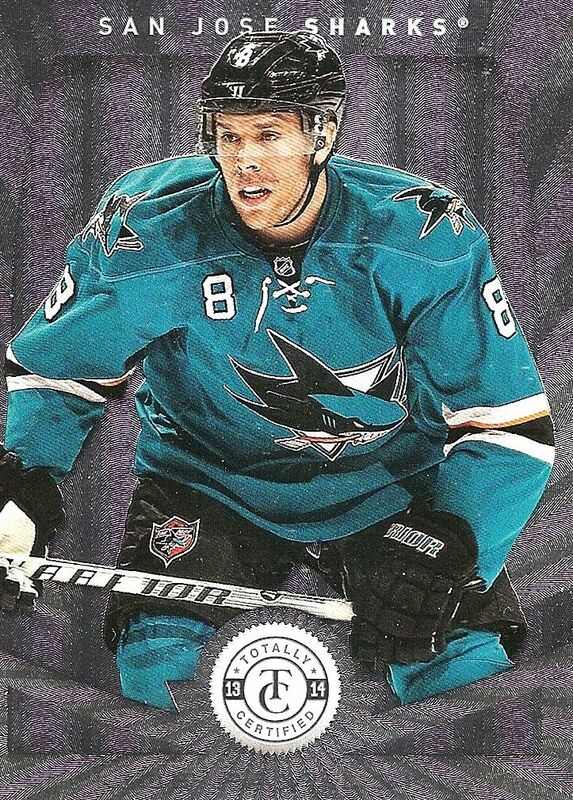 It's something new for hockey cards and i really enjoy it. Its nice to have a 4 pack product with a reasonable price. Looks like this product is going to be loved for future collecters. Love the shiny look of the cards and love the jersey auto's designs! Great review once again Luke! Cant wait to see more videos! The sliver base outlook truly does respond and makes the card look clean and fascinating. A cool product but it is not a Great product. 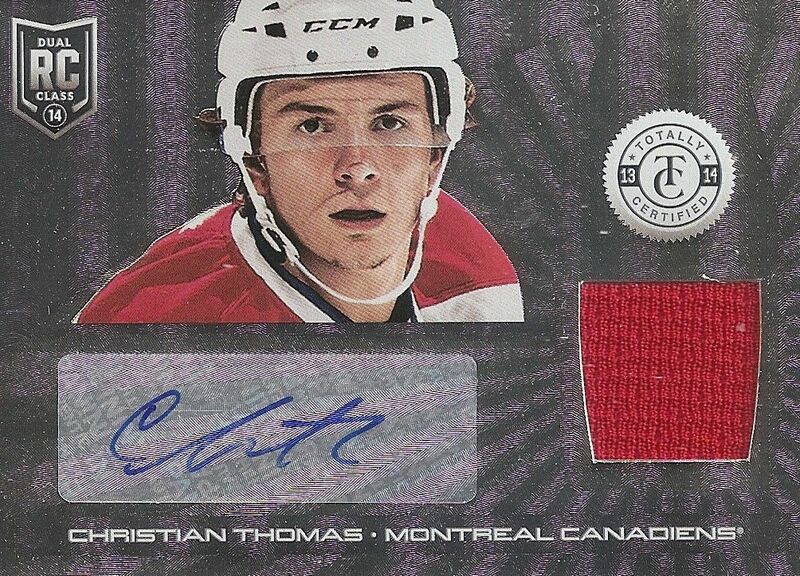 Cards look cool but most are your average 1 colour jersey cards. The fact that the jersey auto rookie cards are not numbered means that they will drop in price over time because there will be many more to come. Very nice /5 hit. I might pick up a box to try it out but I do not see me buying more than 1 box. + A lot of great cards for your money! + I actually like the rookie jersey/autographs. The etched foil makes them look very good to me. - The Totally Certified jersey set. Not good looking at all, and they definitely shouldn't be in this kind of product. Maybe in a product like Score instead? - The base card backs. Come on! This is a really cool product and I love the design of it! Really like this set, Nice pull on the Miller. Only thing I don't like is there is only 4 packs per box, wish it was more. Great review!!! Nice Box! Love the Monahan and the miller tag auto! Cool product. All of the cards are pretty basic, nothing about them really stands out, even the tag card was boring. I like the tag auto that was nice.